If you know cricket and follow it passionately then you would know that English payers were known for their copybook style of shots. There are several stars who hold a conventional style of playing and have been very popular in England and the world. However, there was one who was not a born Englishman but England adopted him as her Son and then almost disowned him as well. This one player came in there and took the charge of destroying opponents and completely changed the playing style of English batsman. His name is Kevin Pietersen who played for not so long period but definitely changed the perception about batting in England. He was the leader from his core. He never settled with anything lesser and always went on higher with the passage of time. He has written his autobiography and today and I am letting you know what he has written in this. 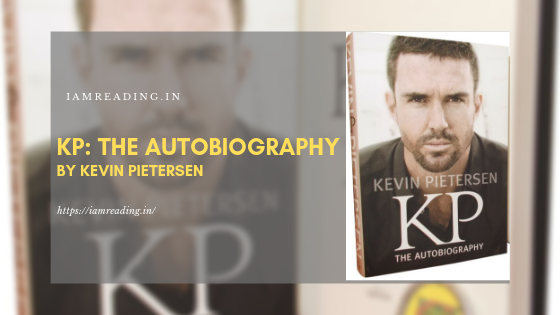 Let's talk about KP: The Autobiography by Kevin Pietersen himself. Ravi Dabral: an author of today writing of yesterday! Born in Uttarakhand, Ravi Dabral has achieved many feats in his professional and academic life. With over 25 academic qualifications, he has also won several accolades including the recent International Man of Excellence for his contribution in the fields of education, corporate and social services. However, we are not writing this article because of his achievements in the public sector or his success as a businessman. We are writing this article because Ravi Dabral has achieved something significant as an author. His debut novel Greed Lust Addiction has brought him fame, name and a standard recognition as an author who does not follow the popular trail.